Again, my goal in this section is not to convince anyone of a particular notion of faith. I am simply trying to explore the spiritual challenges most people encounter when coming face to face with addiction in their families. One temptation is to look down on the addict. Again, this is a very sensitive topic, for the addict has undoubtedly engaged in behavior that is disappointing, offensive, dangerous, criminal, and even unspeakably evil. I am not for a moment suggesting that the behavior should be excused and they should avoid consequences. 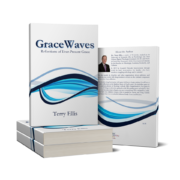 I am interested in the role of grace in the process of recovery, and specifically the role of grace in the intervention. The fact is, we are all debtors beyond our ability to repay. All of us, addict or no, are broken, limping, flawed, and feeble. Addiction just happens to usually be very loud, public, and often obscene. It's obvious, and for that reason it's easy for other people to point at. So we desperately try to keep it a secret, and that is classic denial. For many years, before I became an alcoholic I was able to keep most of my flaws in a discreet shadow. Most of us do. I could easily point to the outrageous and incomprehensible behavior of an alcoholic and assume they are weak in willpower and think myself superior. Most of us do that kind of thing too. Ironically, through my alcoholism I learned of a deeper grace and found a life far better than I could have imagined. The point is, our usual reluctance to be transparent with our struggles prevents us from getting the help we need. To admit that addiction is in our lives or in the life of a family member seems like a shaming failure on some level. Why not view it as it is? A treatable disease through which a gracious and loving God can lead us all to healing? In fact, simply accepting the fact of our shared brokenness, expressed in countless ways, opens the way to a genuine miracle of grace.